Our team provides professional and innovative service for reasonable rates. With over 30 years of experience, you can be sure that we know how to handle any project. Our fleet includes state of the art Bucket trucks for those hard to reach and/or dangerous trees. Our easy process ensures a smooth experience every time. When you hire us you hire the tree removal experts. We are licensed, insured, and have years of tree removal experience. Regardless of the size or location of your tree, our staff has the years of experience and expert knowledge needed to make sure your tree is removed safely without damage to your property. Although cutting down a tree may seem like a major project it's actually straight forward when compared with removing a stump, stump removal is a lot more involved, and that's why you need a company like Hollinger tree service specialist s to do it right , call today for you free quote! Commercial snow plowing available 24/7! Trust our crews to quickly clear your property of SNOW and ice and keep your business running smoothly. 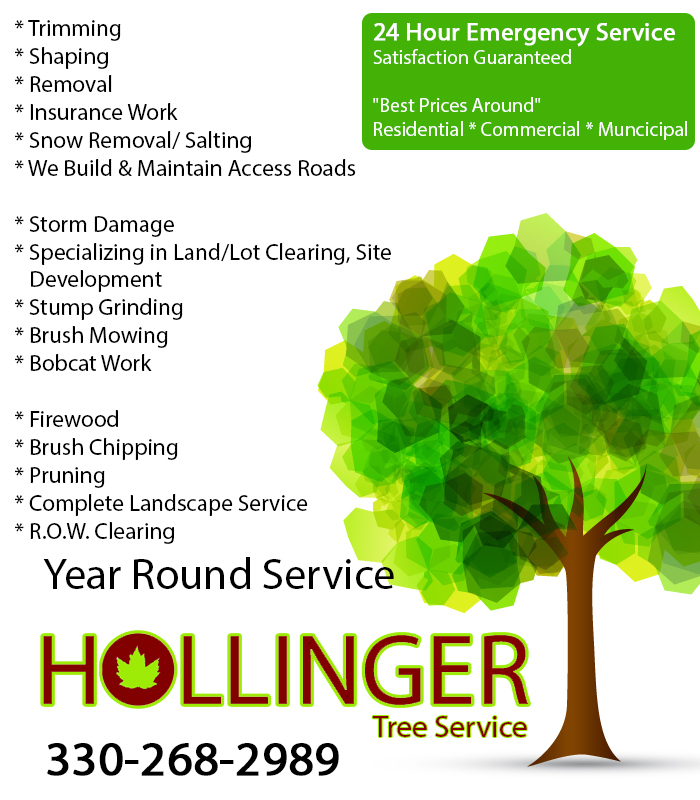 For a comprehensive assessment please call our friendly staff at Hollinger Tree Service for an appointment today!